Your front door is one of the first things that visitors see, so its important to make the best first impression. Often neglected, front doors can look worn out and dull, but we’ve come up with some quick and easy fixes. Brightening up the front door is a great way to completely transform the outside of your home, impressing your friends and increasing the potential sale price for when it’s time to move on. Add your house name or number to your door to give it a sense of uniqueness, whilst also allowing visitors to find you! 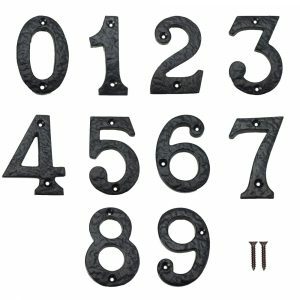 Budget friendly and easy to attach to your front door, house numbers or letters make the perfect front door accessory. Replace old numbers for a quick, inexpensive spruce. Go old school and add a classic door knocker to your front door! Make a statement and choose an animal head or urn, or choose a more modern minimalist approach with a simple circle or bar. Often looking worn or dull, letterboxes can quickly and easily brighten up your front door. Choose between fixing a completely new letterbox, or alternatively just purchase a letter plate – these will fit over your current letterbox and give your front door a whole new look. Why not opt for a brand new door knob to transform your front door? 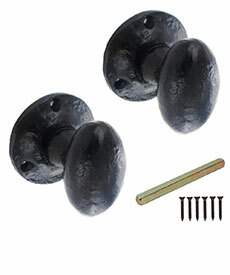 Door knobs and door handles tend to get the brunt of the damage because using them every day and not taking care of them can result in a sad looking door. Take your pick from antique cast iron or polished brass cottage door knobs, or go for a contemporary frosted crystal or satin chrome pointed door knob for your home. Alternatively, why not opt for a statement centre door knob to transform your front door? Escutcheons can help make your front door appear smoother and smarter. Designed to surround or conceal your keyhole or door handle, they are generally circular but can come in all sorts of shapes and sizes. 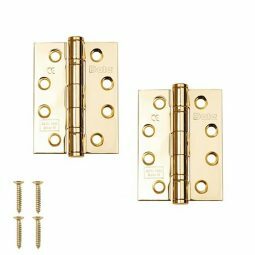 To ensure your door is completely transformed, you can match your escutcheon with your new door knob and door knocker to complete the look. 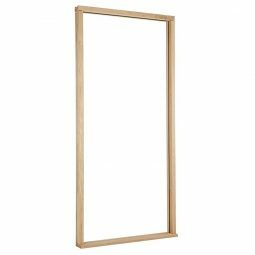 Choose a contemporary square or circular polished chrome or nickel escutcheon, or go rustic and traditional with a fleur-de-lys or antique shaped iron escutcheon for your door. If you’ve got a glazed front door, is your glass looking old and worn? To give your door a complete facelift, replace the glass! 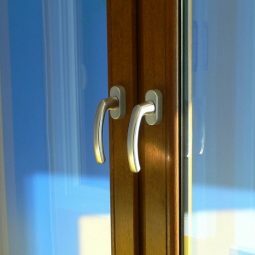 Choose from decorative, etched, obscure or clear glass and it’ll completely change your front door. If your front door is accessed via a front gate, why not think about updating your front gate too? As well as a new coat of paint, why not add new hinges and latches to give it a fresh new feel – first impressions are crucial, so don’t forget to transform the walk to your front door too. Sometimes all your front door needs is a new coat of paint. Bright colours are becoming more and more popular, and are the perfect way to transform your home and make a statement! Alternatively pick a dark grey or black shade to add a sophisticated feel to your entrance. Bring your front door into the 21st century with a smart lock. 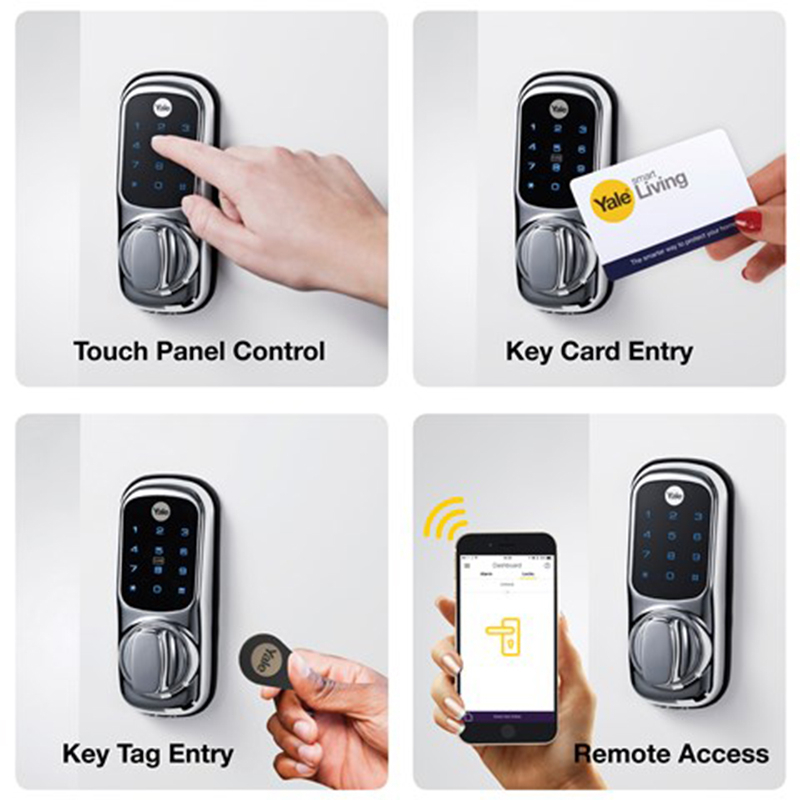 Not only are they a great way to give you complete control of access to your home, regardless of whether you’re home or not, they also look modern, slick and are a great piece of hardware to install onto your front door.